Looking for some fun gluten-free or allergen-free activities? Maybe you’re interestd in expos to learn more about gluten-free and allergen-free foods, baking, or cooking? Perhaps you’d like to participate in a 5K to help raise funds for celiac research? 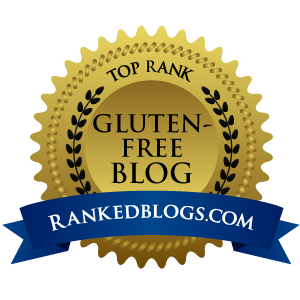 Maybe you’re interested in seeing the world gluten-free style? Whatever you’re interested in, we have ideas for you! We’ve made updates and added many new events to our 2013 Gluten-Free Events Calendar, including Food Fairs, Expos, Conferences, Trade Shows, Classes, Fundraisers, Weekend Get-Aways, Camps for Kids, Walk/Run Events, even Cruises and Travel opportunities, and so much more. We now include national and international events. Be sure to see what fun you can get into. And let us know at info@DailyForage.com if you have an event you’d like us to share with the gluten-free community.